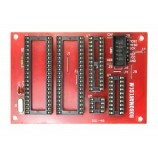 The Multipurpose PCB Board is a useful tool for developing prototypes for new projects and building a circuit from 0 level. Requires medium level of Circuit Construction Level Knowledge. 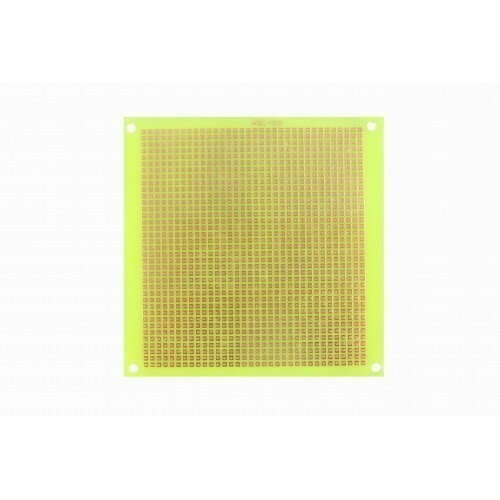 The Board is a strong and clear epoxy type board with pre-drilled mounting holes. 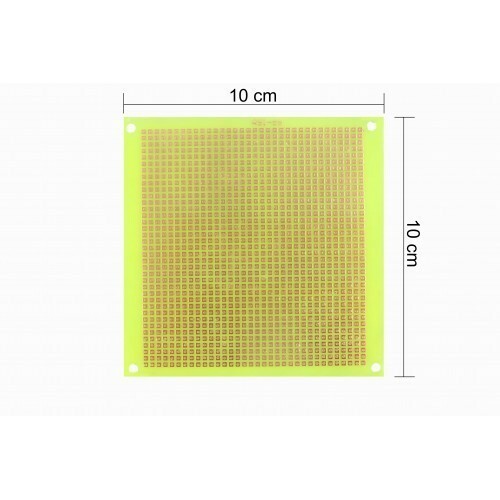 The oxide free surface allows easy soldering and strong tin hold. 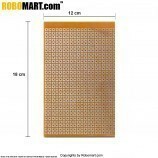 Features of Multi Purpose PCB Board ( 10 X 10 ) C.M. Best size for making custom modules. 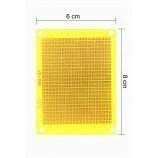 Applications of Multi Purpose PCB Board ( 10 X 10 ) C.M.